One of the pioneers of the IT revolution in Andhra Pradesh, J A Chowdary, IT Advisor to the Government of Andhra Pradesh, is driven by mobilizing investments, creating an IT ecosystem, and providing jobs. He advises and assists the government on investments, employment, and encouraging innovation and start-up activities. In an earlier avatar, Mr. Chowdary served as Chairman of the Board of Software Technologies Parks of India (STPI), Hyderabad and Chennai. But most interestingly, he also gave up a secure job with the Department of Electronics just as the Indian IT boom started to take off, to become an entrepreneur – and a very successful one at that. Today, he is working on making Visakhapatnam the fintech capital of India through the Fintech Valley initiative.. He is a man who rose from truly humble beginnings and is now scripting a new beginning in Andhra Pradesh. One of the Chief Architects of Hi-Tech City, Hyderabad. 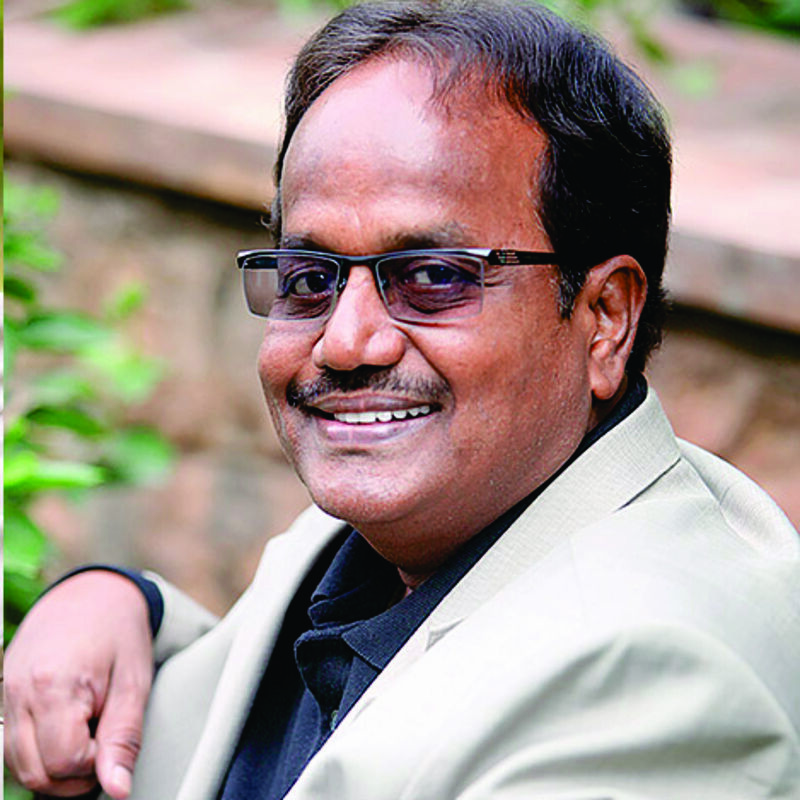 He was one of the key personalities instrumental in bringing about an IT revolution in Hyderabad. Cyber towers was the first largest IT facility originated from Andhra Pradesh as joint venture between L&T and APIIC, JA Chowdary was specially appointed by Govt. of AP to ensure Hitech City a reality. Hitech City was the motivation for tech entrepreneurs to know and come to Andhra Pradesh in the beginning, Rest is History.He is a well-networked IT man and also one among the trusted lieutenants of Chief Minister N. Chandrababu Naidu.PRESENT : Special Chief Secretary & IT Adviser to Chief Minister of Andhra Pradesh - GOVT. OF AP. Mr. Chowdary will also serve as ex-officio Secretary to the Government in the Chief Minister’s Office. Mr. Chowdary served as Managing Director at NVIDIA Corporation in Hyderabad. He served as President and Chief Executive Officer of Portal Player-India and guided complex technology products which became the critical components for Apple iPod series. From 1987 to 1999 as the Founding Director of STPIs in Chennai, Bangalore and Hyderabad, he played a key role in the spurt of outsourced software development and the setting up of Indian operations of multi-national companies. 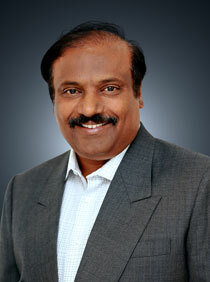 Mr. Chowdary serves as Co-Chairman FICCI-AP Chapter. He serves as the President of ADI Foundation. Mr. Chowdary has received several prestigious awards including Meritorious Invention Award from NRDC, Govt. of India and Special Award from Hyderabad Management Association for promoting the information technology industry in Andhra Pradesh. He is often considered as one of the chief architects of the Indian information technology industry, he was instrumental in developing the Information technology industry in the states of Karnataka, Andhra Pradesh and Tamil Nadu. He holds two Masters Degrees from IIT Madras and Sri Venkateshwara University, Tirupathi. Sreedhar Chinnapolla, MD & CEO of MITS ( Monarch Information Technology Services Pvt Ltd ), is a serial entrepreneur and brings to the table more than 20 years of experience in IT transformation and leadership. Under Sreedhar’s able leadership, MITS in a decade’s time, has grown in to a major technology force to recon with in the ECM and BPM space. Sreedhar’s vision, strategy coupled with his experience in complex cross country operations and business development enabled MITS to reach new levels.His sustained push for quality service delivery, diligence in implementation made him a very familiar face with IBM and made MITS an advanced business partner apart from being awarded as the Best IBM partner in several categories three times in the last four years. Sreedhar’s deep rooted business relationships, foresight and the trust in the customer community made MITS services available to most of the Countries in APAC, North America and Europe in a very short time span. As part of the MITS growth story, MITS successfully implemented and delivered varied ECM & BPM solutions to leaders in banking, education, finance and government as their preferred solutions partner of choice. When Information Technology was in a nascent stage in India, Sreedhar established training centers for graduates on IBM Mainframes, Oracle and Java. Sreedhar was also associated with Infokall – India, as a COO & served as an MD for multinational organizations involved in ERP, EAI, E-com and WAP implementations. He is also credited with establishing Infokall Malaysia and Infokall Dubai.Sreedhar earned his Bachelor’s Degree in Civil Engineering from Osmania University, Hyderabad, India. Ambereen Pradhan is an accomplished, dynamic, and client-driven Education Psychologist offering 22 years of progressive experience in applying psychological principles to real-world settings. In this process, she has impacted not only countless individuals, but also entire Education Institutions including training, conducting group sessions, facilitation, and curriculum design. Ambereen is known for her outstanding ability to create vibrant, eye opening, highly interactive, and fun educational experiences for her clients that exceed their highest expectations.She holds a top ranking Master’s degree in Developmental and Counseling Psychology from S.N.D.T. Women’s University Mumbai. This did not stop her quest for psychology, she continued with different specialization programs in this field: She is R.E.B.T., and NLP practitioner. She is SOI certified practitioner of USA based programShe developed innovative training programs helping instructors and presenters transfer information to their learners efficiently in a variety-based, option-rich, skill-building learning environment. Her programs are noted for being self-motivated, fun, interactive, energizing, and hands-on. 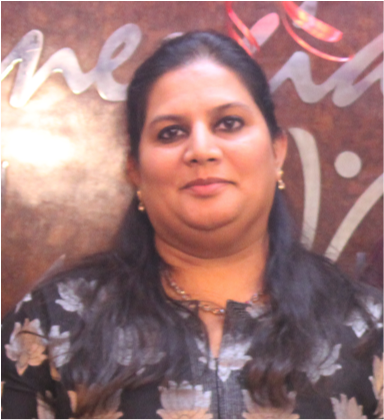 She is currently heading a Singapore based Energia SOI, as a Promoter and Director with a subsidiary in India. Energia SOI is Start-up India certified company and recently honored with India Education Award category: India's best program for kids. AN Ravindra, currently is a Group CFO for a Large Educational Body promoting Educational Institutions from KG to PG, Technical Education, Engineering College and Hospitals etc. Has expertise in Strategic Overseas Projects in Ireland and US for an Indian MNC, Finance Functions, Educational Activities as a GM in a Listed Company, Co-promotion of an IT Company in Hospital Management at Hyderabad, Finance Advisory Functions for NPA clients. 35+ Years of Banking Experience: As a Senior Management Personnel with more than 35 years of experience with major part spent in large Banking Institutes, spent more than 21 years in Corporate Banking as Strategic Adviser, Legal, Compliance and Audit etc aimed at overall Organisation Development. Primary exposure involves Corporate Credit Operations, Marketing Banking Products; Profit Center Management, People Management, assistance in large funding including Institutional Placements, Equity and Debt Funding, execution skills like Due Diligence, Legal Audits as part of A Legal Firm in Mumbai and Accounting Audits, International Mergers and Acquisitions.